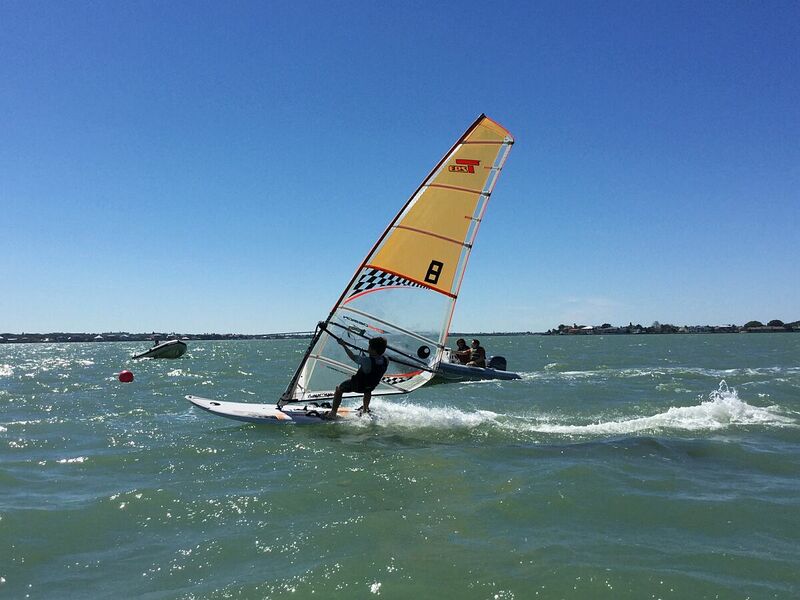 The Clearwater Midwinters took place this past weekend (March 4-6) and got the 2016 racing season off to a fast start! It’s a springtime tradition – the first weekend in March has been a staple on the US racing calendar for 30 years now. 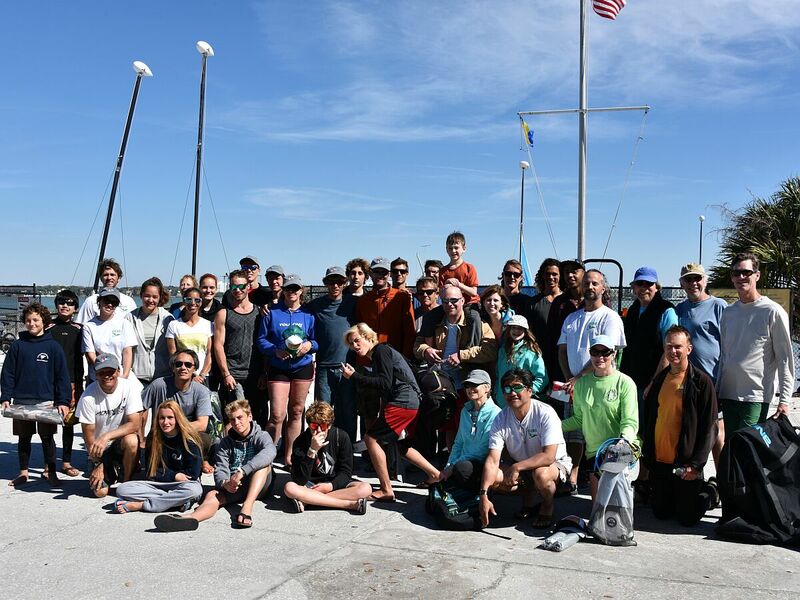 But this year, that springtime tradition came with a twist: a last minute change of venue to give the Calema team in Cocoa Beach a breather, and shine the spotlight on a location that’s been climbing to the top of world-class sailing destinations in the past couple of years: Clearwater! 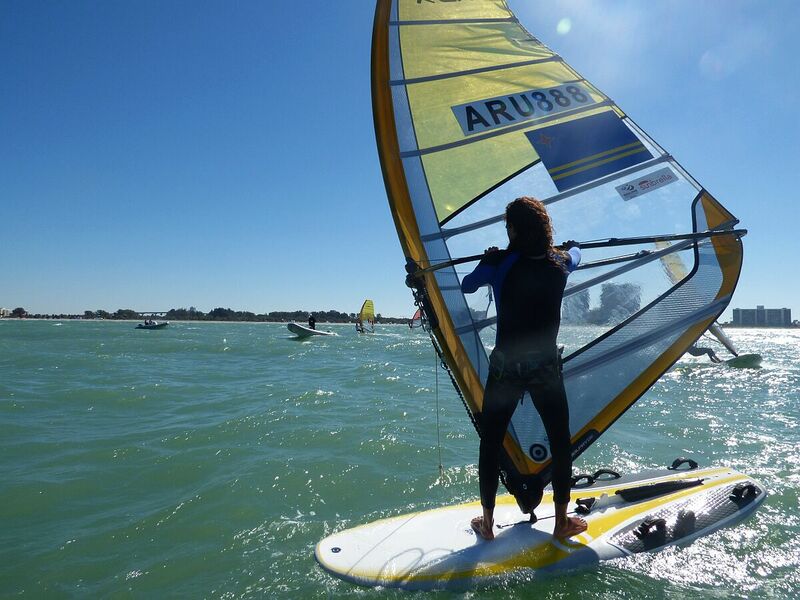 Clearwater is on the rise: the town recently hosted multiple sailing World Championships and was just voted the #1 beach in America by TripAdvisor. It’s also quite literally on the rise, with many luxurious hotels nearing completion and tourism numbers hitting record highs. 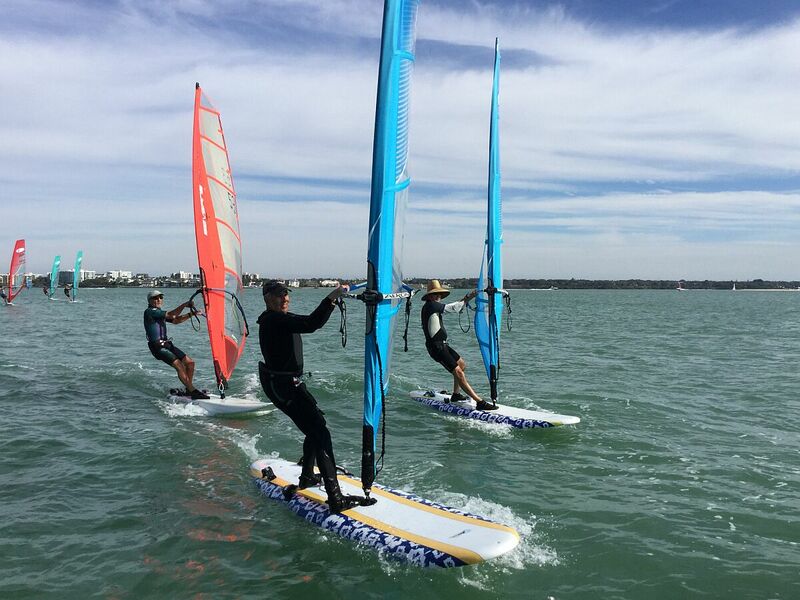 And with spring-breakers invading the place for a few weeks of congenial sand-and-sun celebration, it was already abuzz with activity when the windsurfing party came to town! The local organizers, the Clearwater Community Sailing Center, pulled all the stops to showcase their home waters and arranged two separate courses for the event: Konas, Raceboards and Technos raced on the inside bay – a race area that’s slightly sheltered from the elements (although that didn’t prevent 20+ kt gusts from reaching the course on both Friday and Sunday) and where the tide and interference from land and nearby high-rises make racing very technical. 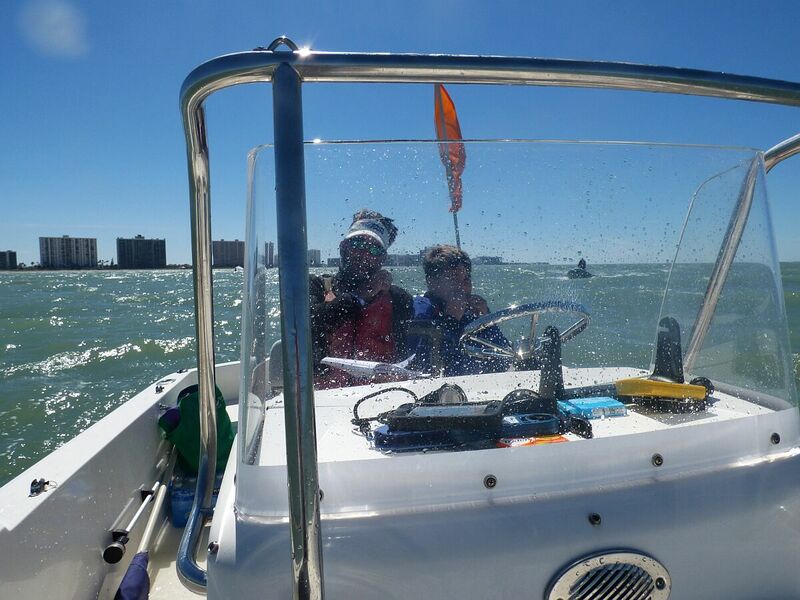 While the Formulas and RS:X raced in the open waters of the Gulf of Mexico, with much steadier breeze but a very challenging ‘hop and chop’ to contend with. 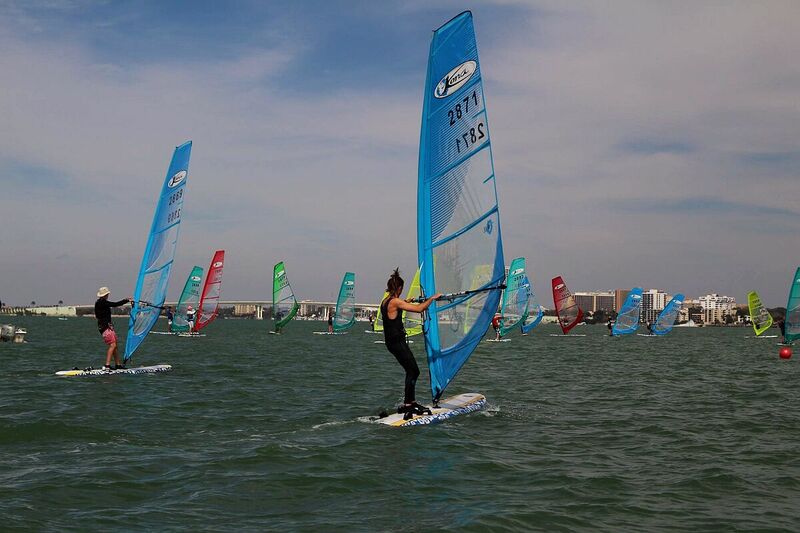 The Clearwater Midwinters doubled as the 2016 North American Championships for the Kona Class, and more than half of the 60 competitors at the event competed in that class. 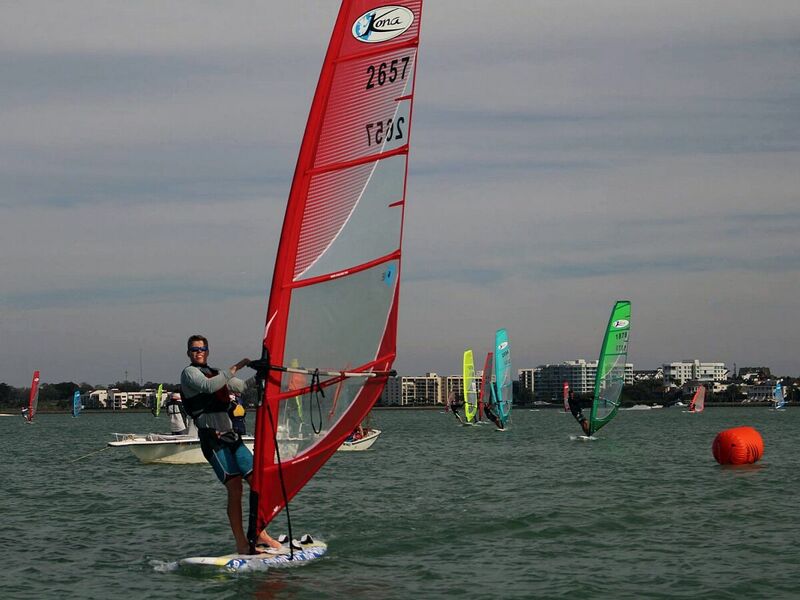 St Pete legend Britt Viehman (of North Beach Windsurfing fame) seized the lead early on and consolidated it methodically over the course of the regatta, finishing only once outside the top five in any of the 11 races of the championships. A model of consistency in conditions that varied from 2 to 22 kts! Anyone who’s every met Britt in person knows that he’s a free spirit, and that associating him with anything ‘methodical’ is pretty weird. So his victory might actually have nothing to do with method – which makes it all the more impressive! 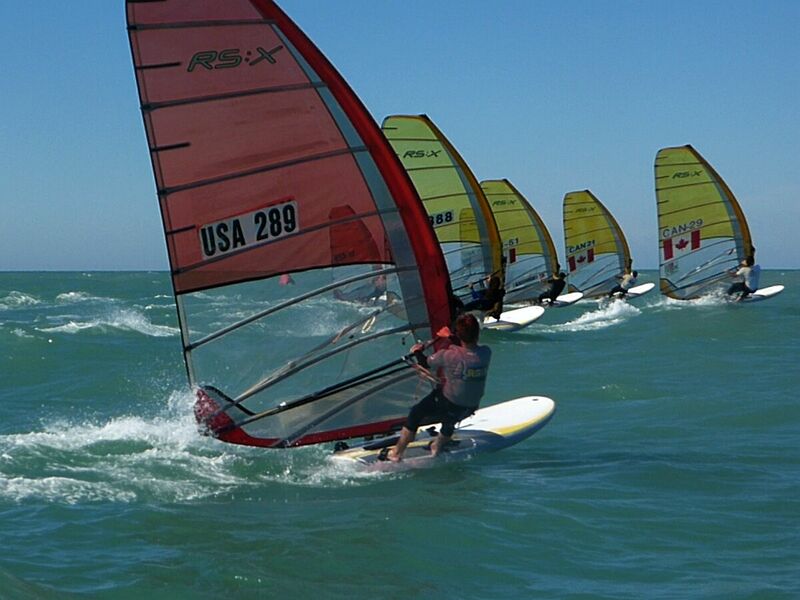 North Beach Windsurfing scored twice at the event, with Karen Marriott taking the women’s North American title! 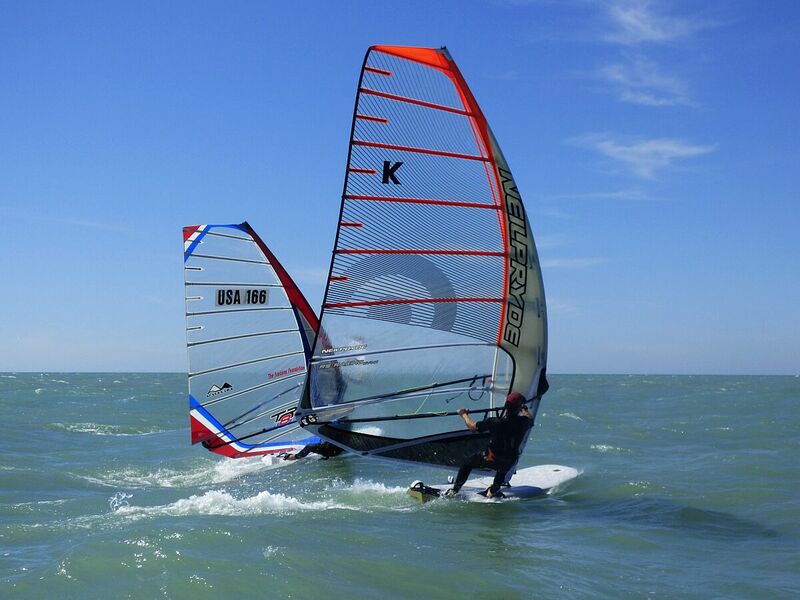 Raceboards battled the elements on the same course as the Konas all weekend. Dave Stanger (Charleston, SC) put together an impressive string of bullets on his Equipe, and was often able to catch up to the top of the Kona fleet before the finish line despite starting five minutes behind! The Technos started the event in epic conditions in the Gulf but joined the Raceboards on the inside course on the second day, and showed everyone what they’re made of, starting with Manu Nores (Miami, FL), who’s following fast in his brothers’ footsteps and will be a force on the international Techno circuit this year. On the Formula front, the battle at the top was between multiple national tour champion Ron Kern (Ft Lauderdale, FL) and local hotshot Justin Ahearn (Clearwater, FL), who managed to race all 11 races and take the title all while organizing the event. Though the battle was tight and Ron didn’t hand it to him! 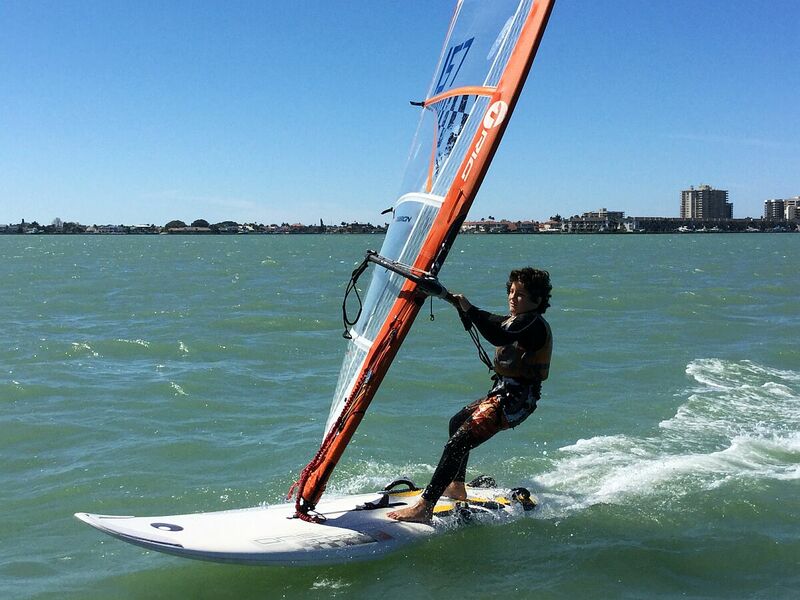 Meanwhile in the RS:X fleet, Raul ‘Coqui’ Lopez (Miami, FL) won in front of Gabriel Verrier-Paquette (Montreal, Canada). 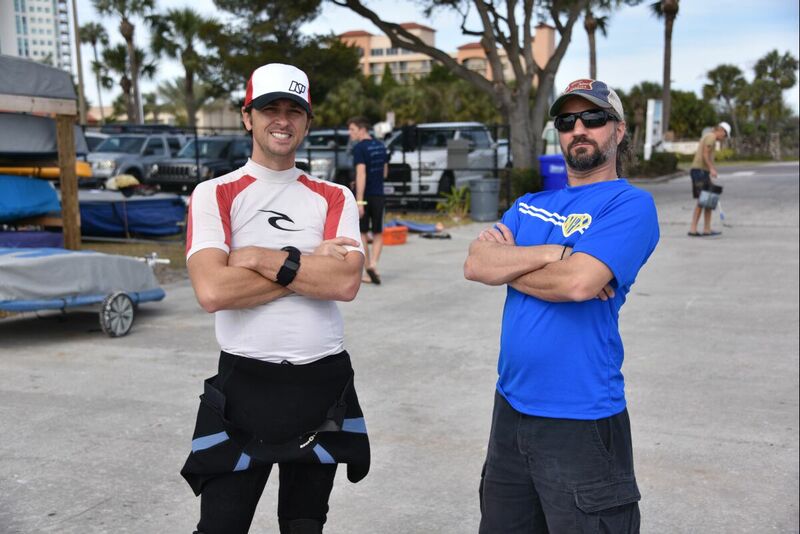 These two athletes and their fellow RS:X competitors are deep into their respective qualification rounds for the Games in Rio, and the event in Clearwater was a perfect preparation before heading over to Palma, Spain in a couple of weeks for what promises to be a nail-biting regatta! College sailors Ben Tino and Peter Hidley are a little older than Jake and Alex but showed the same level of youthful enthusiasm. 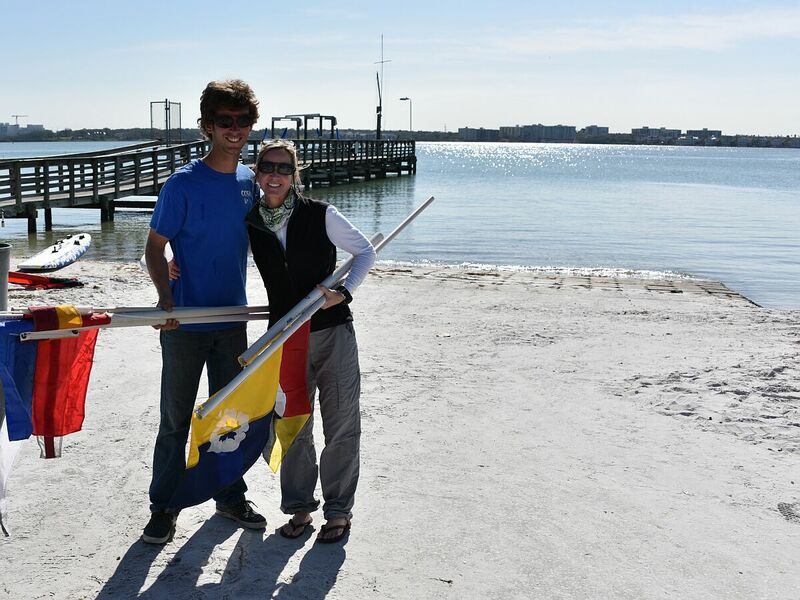 They made the trip from Jacksonville University to attend their very first windsurfing regatta and demonstrate all the hard work they’ve put into their windsurfing recently. We’ll hear from them directly in a follow-up article – you won’t want to miss it! Men: 1. Britt Viehman; 2. Steve Gottlieb; 3. Jake Dennis. Women: 1. Karen Marriott; 2. Margot Samson; 3. Barbara Belt. Youth: 1. Jake Dennis; 2. Alex Temko; 3. Hallie Muller. Raceboard: 1. Dave Stanger; 2. Chris Voith; 3. Dan Olivier. Formula: 1. Justin Ahearn; 2. Ron Kern; 3. Eduardo Owen. Techno: 1. Manu Nores; 2. Michael Cramer; 3. Dominique Stater. RS:X: 1. Raul Lopez; 2. Gabriel Verrier-Paquette; 3. Jean-Sebastien Fugere. And the full results are here. 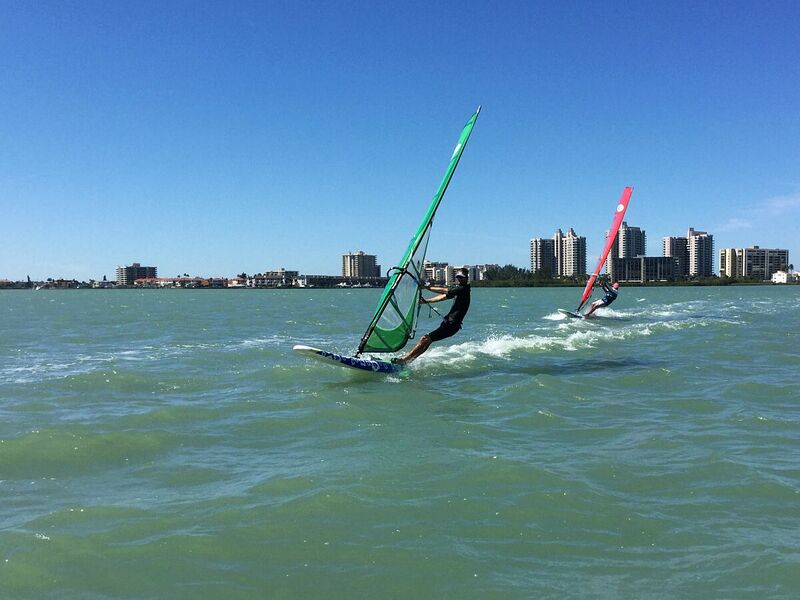 Big props to the Clearwater Community Sailing Center. The sailing center has a young and dynamic team at the helm and it shows! Big thanks also to all the volunteers throughout the event, to the Kona Class for the role it plays in stoking the flames of windsurfing these days, and all the sponsors who helped make the event possible: North Beach Windsurfing School, Dakine, Banana River Resort, North Sails Windsurfing International, Sheraton Sand Key Resort, Backwaters on Sand Key, Helinger Advertising, SandyPoint ProgressiveSports, St. Pete/Clearwater Sports Commission, Clearwater Yacht Club, Fanatic International, Big Storm Brewing Co. and US Windsurfing! Awesome summary of a great regatta! Next story Fiat Lux: Windsurfing in College for Credit! 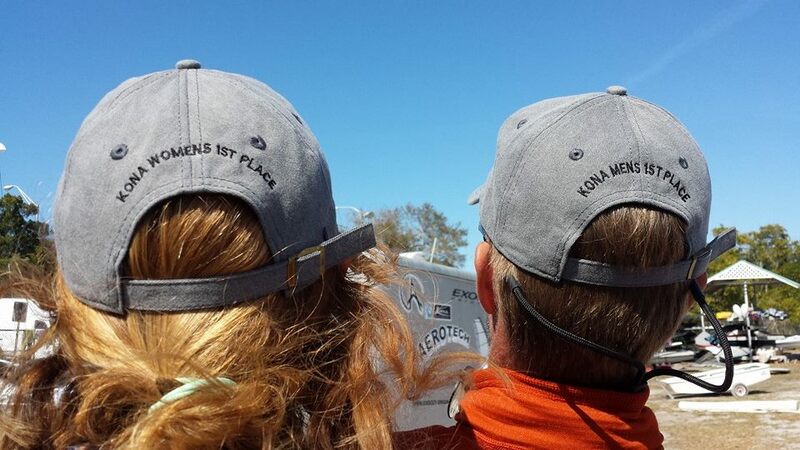 Previous story US National Racing Tour: Tammy Bockius and Jesper Vesterstroem are 2015 Slalom Champs!